Kidizoom Smartwatch DX2 by VTech lets kids take pictures, videos, play games, tell time and more! Over 50 customisable digital and analogue clock faces – perfect for learning to read time! 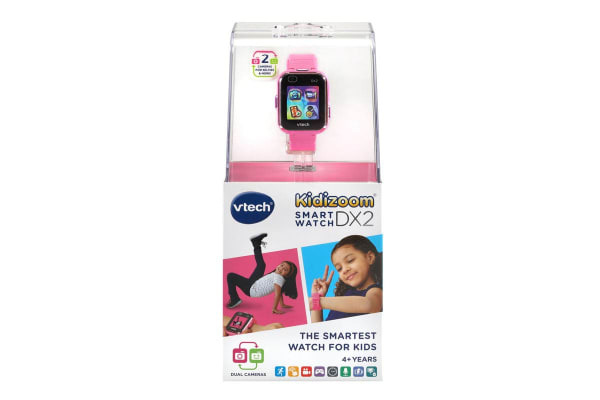 Watch as your little one learns to master time with the durable VTech Kidizoom Smartwatch DX2, featuring 55 digital and analog customizable watch faces – take snaps and customise in the Silly Yourself app to create new clock faces. Unlike other smart toys, you can shake off concern that your child might become addicted and spend all day inside! 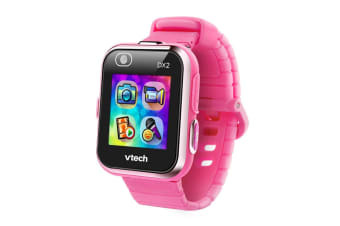 The Kidizoom Smartwatch encourages your child to play outside with two cameras to capture their summer adventures and a built-in step tracker. Plus, there are tons of interactive and augmented reality games built-in, such as Monster Catcher. This AR game turns your child’s world into a playground as they find and capture monsters in reality!